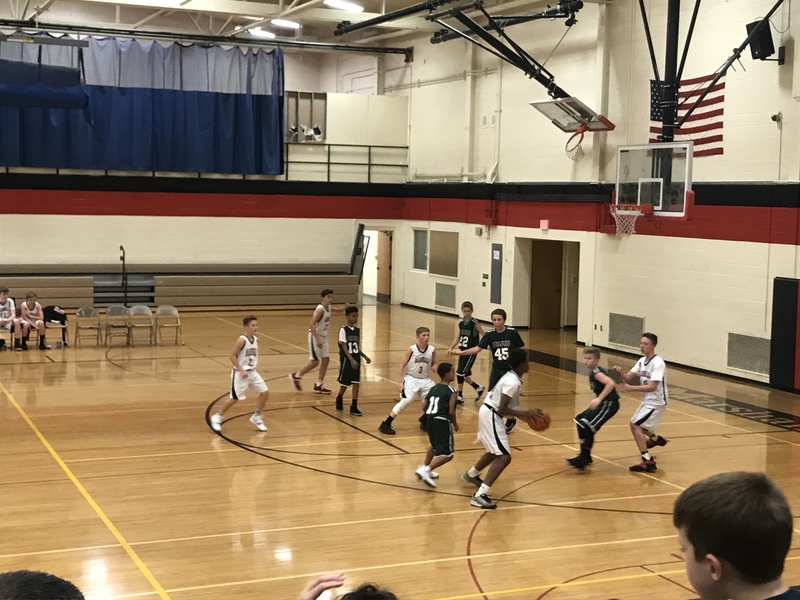 Boys 7th Grade A Basketball · Nov 7 Redhawks pass past the Panthers! Tuesday night the Redhawks hosted the Pennfield Panthers in an I8 conference clash. The Redhawks continued their streak of great starts jumping to an early 12-0 lead, eventually shutting the Panthers out in the first quarter. Full court pressure and ball movement on offense saw their lead grow to 23-6 at by halftime. Coming out of the locker room the Redhawks continued to play strong on both ends of the floor adding 12 points to their lead and holding the Panthers to a lone basket in the third quarter. In the fourth quarter, strong offensive play and defensive pressure created multiple fast break opportunities adding 18 points and holding them to only 4 points. It was a great team win! Scoring was lead by Jamari Culliver with 16 points, Jake Jacoby had 13 points, Dimitri Egnatuk added 9 points, Jackson Lillrose scored 5 points, Mi’Kal McCormick had 4 points, wrapping up the scoring was Koby Brown and Alec Schnaitman with 2 points. The Redhawks are back in action on Thursday when they travel to Jackson Lumen Christi to take on the Titans. Tip-off is approximately 5:45. Come out and support your Redhawks.